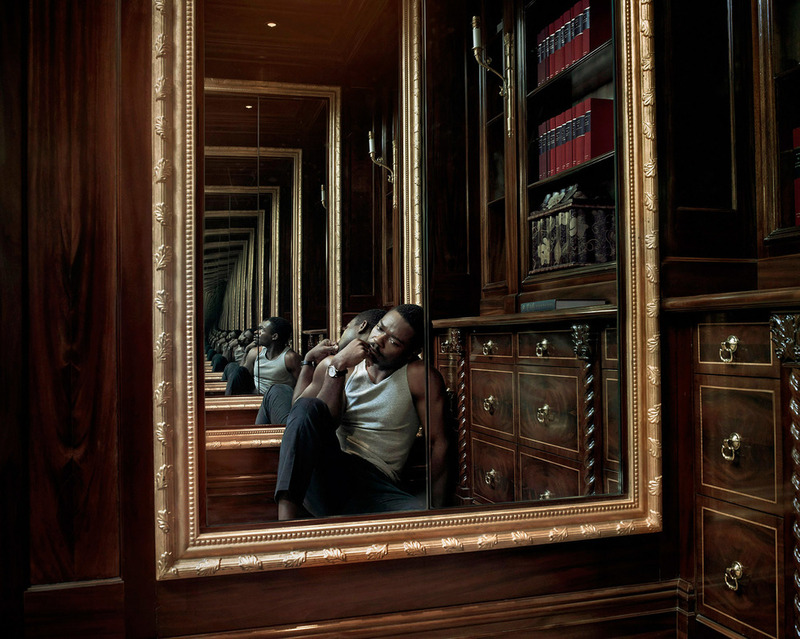 This portrait was the only image in the set which was shot in two places, Norfolk and in a London studio with the Spectre and Moonlight actress, Naomie Harris. Make Up Artist Morag Ross who initially studied mural design at Glasgow School of Art before falling for make up and training with the BBC after graduating. Award winning Make Up Artist Sian Grigg looking resplendent on her local beach in Wales. Sian has been working in the industry for almost 20 years. She worked with Leonardo Di Caprio on the Titanic in 1996 and with him in every film since including the harrowing The Revenant. One of the few Still Life images from the set shows the farmer's minute head (from the Farmer's Llamas) and his many expressions. These were photographed at the Aardman studios in Bristol. Phil experimented with torchlight for this portrait, and ended up throwing the magnesium paper as close as possible to John Richardson’s head, in order to light the shot! John is a well known Special Effects Artist who worked on the James Bond, Harry Potter and Alien films, so he was pretty nonchalant about the potential fire hazard! For this portrait, Phil photographed Neil Gorton in his workshop who runs Millennium FX the largest Special Effects and Prosthetics company in Europe. Neil was behind the prosthetics for Ex Machina, Saving Private Ryan and Children of Men. Using the technique of low lighting, Phil was able to use fast shutter speeds to create this portrait of Keir Beck, Stunt Performer and Coordinator who worked on films including Mad Max and Casino Royal. I am absolutely delighted that Flock now represents amazing photographer Phil Fisk. A master of lighting and mood, a lover of film and narrative he was the perfect choice for BAFTA who commissioned this project which shines a light on the whole filmmaking process from famous faces in front of the camera to the magicians behind the scenes.